There can be no denying that the gorgeous Shruti Haasan is one of the popular and stylish divas in the Southern film industry today. During her reasonably eventful career, she has won the love of movie buffs courtesy her sincere performances, stunning looks, charming personality and bubbly nature. Moreover, she has grabbed attention thanks to her bold and bindass nature. Now, Shruti’s fans have a reason to rejoice. As it so happens, the lady just took to Instagram and shared an awesome photo with her fans. In it, she can be seen chilling with her sister Akshara and enjoying the moment to the fullest. The ladies seem to be in a goofy mood and look beautiful. That’s how you have a blast while giving the world sibling goals. 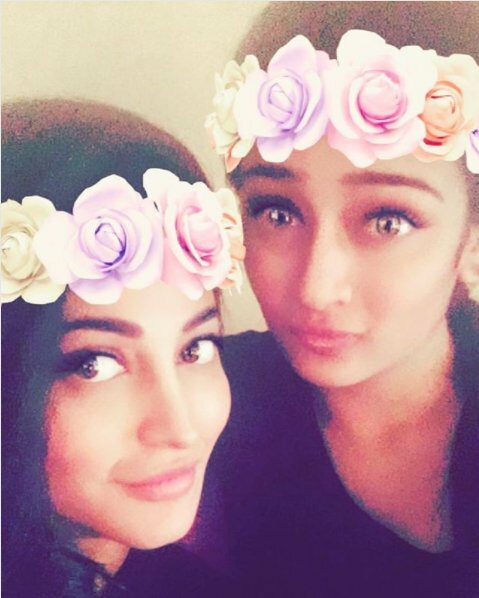 In case you did not know, Shruti shares a lovely bonding with her sister and is quite ‘protective’ of her. Sometime ago, she had said that the sisters love having casual conversations when they are together and rarely discuss work. “She is an independent girl. Besides, it is so boring to talk about work, right? We keep asking each other ‘what are we doing’ and then it gets boring. We have typical sibling conversations, too. We talk about nonsensical stuff like sharing funny videos of cats, kids and all that. Then she will show me pictures or videos of these guys dancing. So, our chats are absolutely normal,” she had told a daily. .On a related note, Shruti was last seen in ‘Behen Hongi Teri’ which hit screens this year and underperformed at the box office. Taling about her rapport with co-star Rajkummar Rao, she had said that working with him was a fun experience. At present, she has ‘Sabash Naidu’ in her kitty. A spy-comedy, it will see her share screen space with dad Kamal Haasan and has been in the cans for a while now. Sometime ago, she had said that working with her dad was a good leaning experience for her. “In ‘Shabash Kundu’ working with papa (Kamal Haasan) was really fun because I learnt a lot and its really memorable experience for me,” she had said on the sidelines of an event. Besides ‘Sabash Naidu’, she also has ‘Yaara’ in her kitty. Talking about it, she had said that she enjoyed shooting for the film. Talking about the film, she had said that working with Ajith was a terrific experience for her. “Ajith sir is a fine example to learn how to handle success. He is unassuming, warm and helpful. Since I’m also into photography, we got along pretty well. In fact, that was my ice-breaker!” she had told a leading daily. So, did you like this photo of Shruti and Akshara? Talk to us in the space below.